Pioneers of the British punk rock explosion in the late '70s, Siouxsie and the Banshees in time evolved into a surprisingly sophisticated cutting-edge pop band whose sound blended elements of rock, psychedelia, and goth. 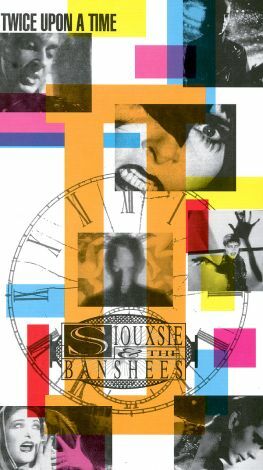 Siouxsie and the Banshees: Twice Upon a Time is a video compilation which strings together videos for 15 of the group's later-period videos, shot between 1982 and 1995. Selections include "Peek-a-Boo," "Kiss Them for Me," "Face to Face," and "This Wheels on Fire."